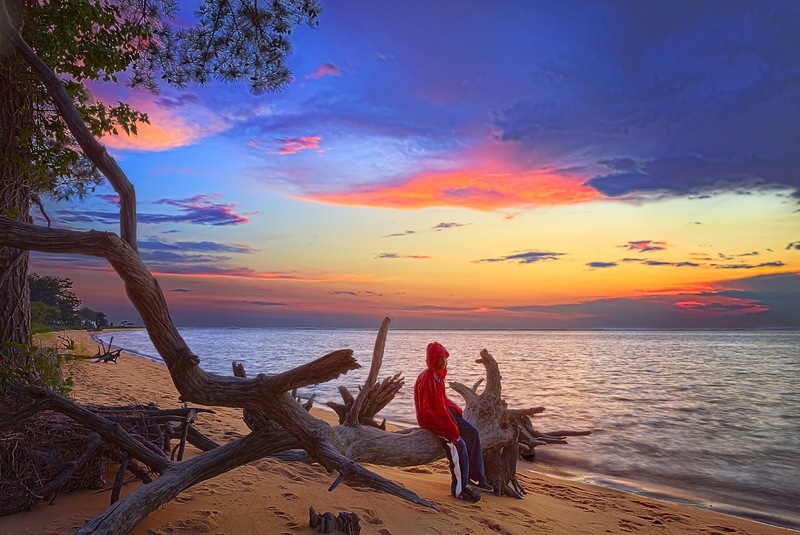 Joshua Contemplates his future beneath a spectacular sunset on Roaring Point beach in Waterview, Maryland. USA. HDRi produced from a seven shot exposure bracket.